Things have not changed much since then Perhaps they are worse, if the answers in the general Knowledge papers of Prestigious competitive examinations conducted in India are any indication. So long as they forgot the past, the Hindu nation remained in a state of stupor; and as soon as they have begun to look into their past, there is on every side a fresh manifestation of life. It is out of this past will become the future. The more, Therefore, the Hindus study the past, the more glorious will be their future, and whosoever tries to bring the past to the door of everyone, is a great benefactor of his nation. These words of Vivekananda have inspired the author of this book to make an honest attempt at presenting a panoramic view of Hindu culture in all its aspects from the ancient days to the end of the medieval period. In addition to helping the Hindus to regain their abhimana or national pride, this book is also aimed at urging them to work hard, to take India to still greater heights. We Earnestly hope that this book will be enthusiastically received by the devotees and admirers of Ramakrsna-Vivekananda, especially the younger generation. 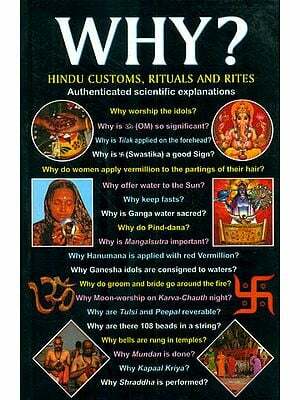 We also wish that it can serve as a useful reference book to the students of Hindu culture. With a view to wider circulation, notably among our youth, the price has been kept at an easily affordable level, even while maintaining a fairly good standard of paper, printing and get-up. Our earnest thanks to Sri B. N. Nataraj of the Sri Nithyananda Printers, who has taken a lot of trouble and a personal interest in the printing and production of this book. 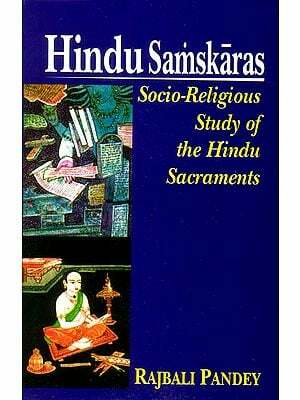 We will fell rewarded if the readers welcome this publication as a useful addition to the meager literature on Hindu culture. It is an undeniable fact of history that the destiny of world has very often been shaped by great persons of sterling character rather than the mediocre mortals who a hapless part of history. Man’s innate spirit - the personification of life, energy and consciousness – has always been goading him to rise above nature by struggling against it and not by being in conformity with it. It is this struggle that result is his progress. This progress can be in two directions: external and internal. External progress leads to a better standard of living, i.e. civilization. Internal progress, on the other hand, results in greater refinement of the whole personality, i.e. culture. Civilization and culture do not necessarily go together. Nor are they mutually exclusive. They can be elegantly harmonized, provided one known the relative proportions in combining them. 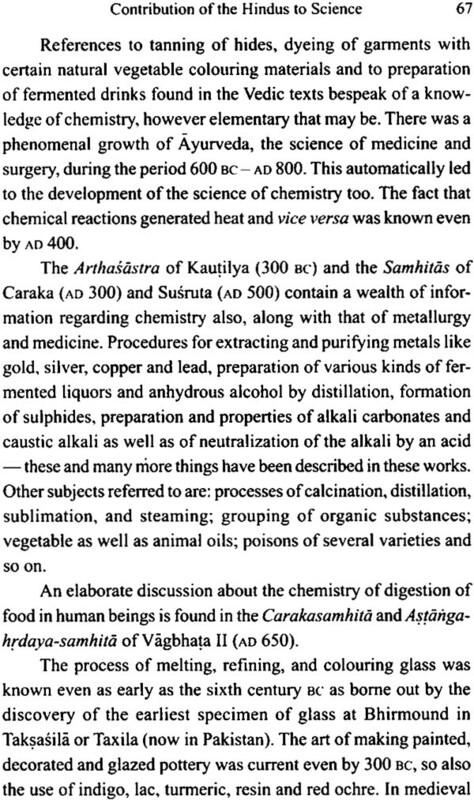 This is exactly what the ancient rsis or sages of India – whether the rejarsis like Janaka and Sri Rama or the brahmarsis like Vasistha and Vyasa – did when they administered or guided the great kingdoms of their times. However, the philosophy that the world is one family (vasudhaiva kutumbakam) as taught and practiced by our great sages, who were the real socio-religious and cultural leaders, has practically eliminated such conflicts in our country. Records of ancient and medieval history of our country as given by the foreign travelers and other foreigners bespeak not only of a high degree of civilization but also of culture as revealed in their accounts of appreciation of our people’s deep devotion to truth and ingrained honesty. This had been possible solely because the ancient and the medieval Hindus of Indian never forgot that dharma (ethical values) and adhyatmavidya (spirituality) were the centre of gravity of their life. This fact has been further buttressed by the modern saints like Ramakrishna, Vivekananda, Aurobindo and Ramana Maharshi. Their life and teachings have shown us the modern not only the need for and utility of a higher degree of civilization but also its limitations and dangers, thereby showing where to draw the border line. While they have taught us to be rightfully proud of our past history and culture, they have also reminded us very forcefully that we should take only the best form other nations and integrate it with our basic culture. Their advice of caution has come not a day too soon. During the last few decades there has been a sickening tendency amongst us – especially the younger generation – to blindly imitate the Western culture, be it in hairstyle or dress or language or manners. All the dreadful vices of theirs like consumerism, alcoholism, addiction to drugs and profligate promiscuity to these dangers and try vigorously to tread the path blazed by our religio-spiritual heritage, the future generations – if at all they come into existence – can never forgive us! In the light of all that has been said till now, a basic study of Hindu culture – as it was in the past and as it is at present – has become an urgent necessity, in order to evolve a balanced combination of the true spirits of both the Western and our cultures. It is rather an uphill task to present such a comprehensive and complicated subject in a capsule form in a small volume such as this. Yet, an earnest attempt is being made in the foregoing pages which, it is hoped, will not be in vain. but with her husband she has a special relationship.